Just about every NASCAR driver is dependent on his race team and its corporate partners to pick out the color scheme for the car the fans see at the track and on television each weekend. Drivers are sometimes consulted on the car’s paint scheme, but the folks paying the bills always get final say. The car is their space, but a racing helmet is a driver’s own territory where he can stamp his own personality. That’s led every driver in the Monster Energy NASCAR Cup Series to sport a commissioned helmet design they have often worn for years and fans can easily identify. Clint Bowyer is no different, except he’s taken his personal space on his helmet another step. This weekend, when Bowyer drives his black-and-red No. 14 Haas Automation Ford at ISM Raceway near Phoenix, he’ll wear a helmet that carries all the logos of his partners incorporated into a cool design by his longtime helmet painter Nick Pastura. And the back of the helmet includes a Pastura painting honoring drag racing hall of famer Don “The Snake” Prudhomme – a childhood hero of Bowyer’s. Prudhomme, 77, earned his “Snake” nickname for his lightning-quick, starting-line reflexes that led the NHRA to name him its third greatest driver in history. Bowyer said Prudhomme has visited NASCAR tracks on several occasions in the last few years and still watches most of the race broadcasts. Bowyer hopes to take the Prudhomme helmet to victory lane this weekend at the track that was renamed in the offeason from Phoenix International Raceway. No matter the name, Bowyer’s Stewart-Haas Racing (SHR) team salivates when it’s time to race at the fast, mile oval in the Arizona desert. SHR has enjoyed five trips to victory lane in 54 races at Phoenix during the team’s 10-year existence. The Kannapolis, North Carolina-based team owned by Gene Haas and Tony Stewart also owns 16 top-fives, 23 top-10s and one pole at Phoenix. SHR arrives there after consecutive victories by Kevin Harvick at Atlanta and Las Vegas. Bowyer hopes he can add his name to SHR’s 2018 victors list at Phoenix. Bowyer arrives at Phoenix with momentum after running well in the season’s opening three races. 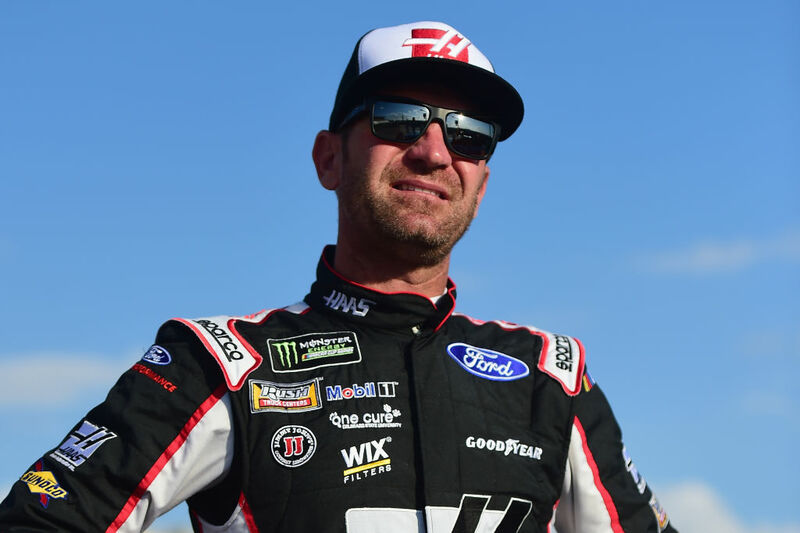 A 15th-place finish at Daytona coupled with a third-place finish at Atlanta and an 18th at Las Vegas has Bowyer in 11th place in the driver standings as the Cup Series readies for the second of its three-race western swing that concludes next week at Auto Club Speedway in Fontana, California. If he stays up front until the checkered flag falls, Bowyer will make Don “The Snake” Prudhomme proud.